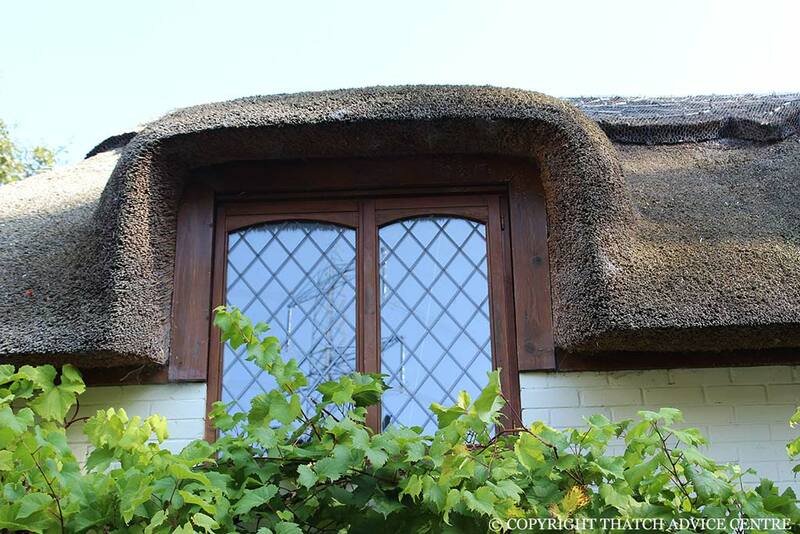 There are a range of different window appearances, styles and construction for thatch buildings. 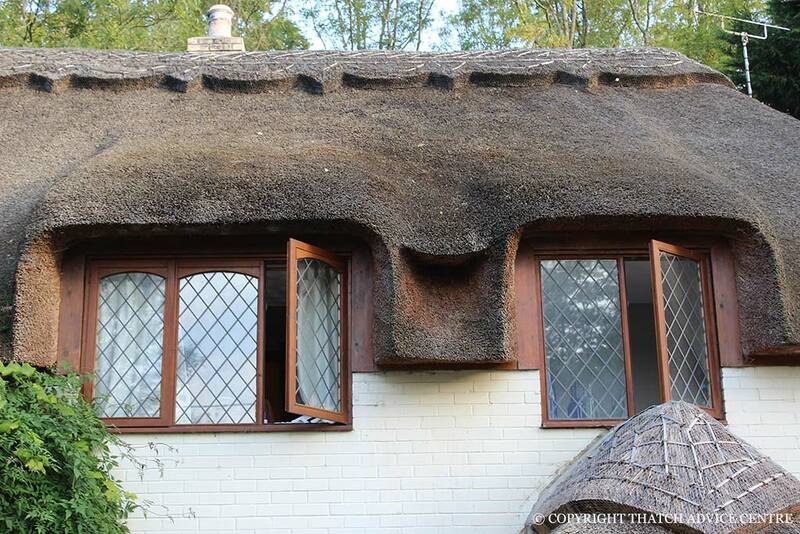 Some windows are below the thatch and the eave is just dressed up a little to allow the windows to open. Other windows are part of the construction of the roof. Eyebrow windows, as the name suggests, are semi-circular convex in appearance and do not protrude far out of the roof vertically. The cut of the brow is less anglular and harsh looking as a dormer window. Eyebrow windows are classically seen in say the West Country. This is the usual quaint cottage look, often with Combed Wheat Reed roofs although Water Reed can be just as easily applied in this way. These windows can sometimes look and be a bit flat so often look like an undulation in the roof. Due to this the wear can be slightly accelerated. Dormer windows, are more protruding in design and they also increase the amount of headroom in the room and allow for more usable space. Some dormer windows in thatched properties are therefore quite large and can increase the roof area considerably. These windows have an angular and squarer look than eyebrow windows, almost like a half box protruding from the roof. 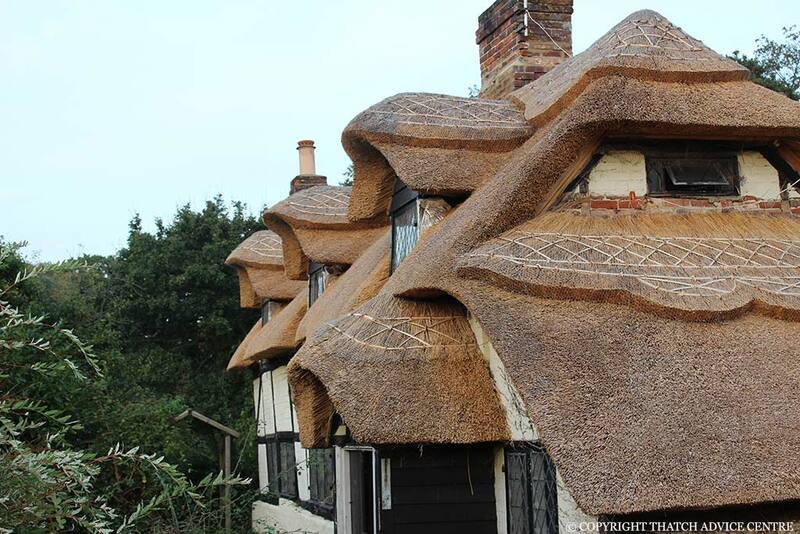 They still can be different shapes and sizes depending on the architects design and care must be taken when putting two side by side in allowing for the thatch thickness and water shedding of the roof. The pitch should be maintained to maximise the lifespan of the thatch. 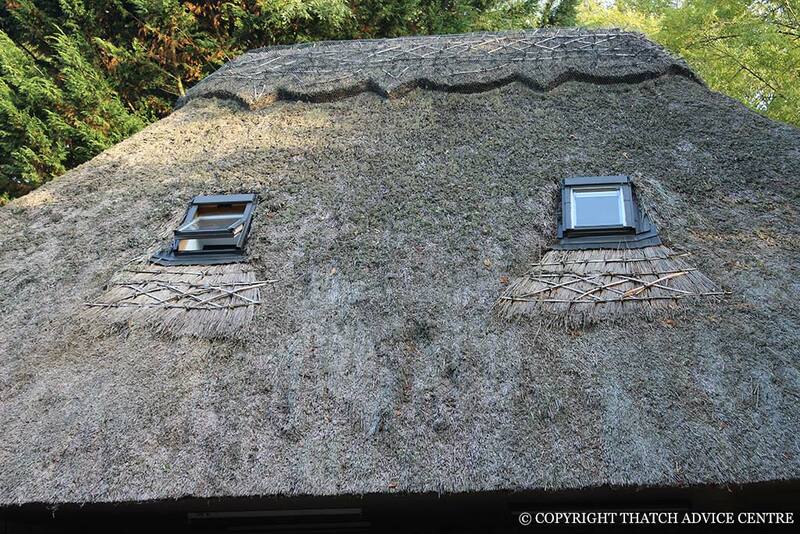 There are special velux – style windows for thatch. These are fitted in a special box which is cut into the thatch and goes into the timber roof. 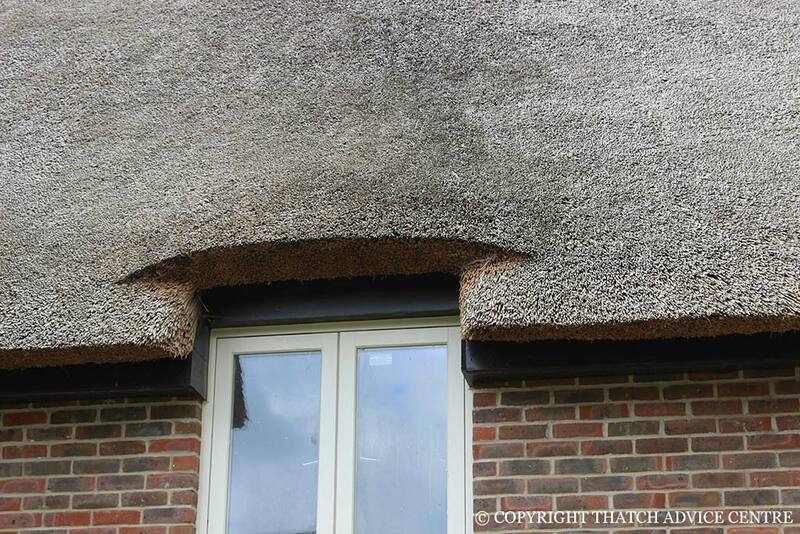 The box has to be made to the correct depth of the thatch as the windows sit flush to the thatch exterior.